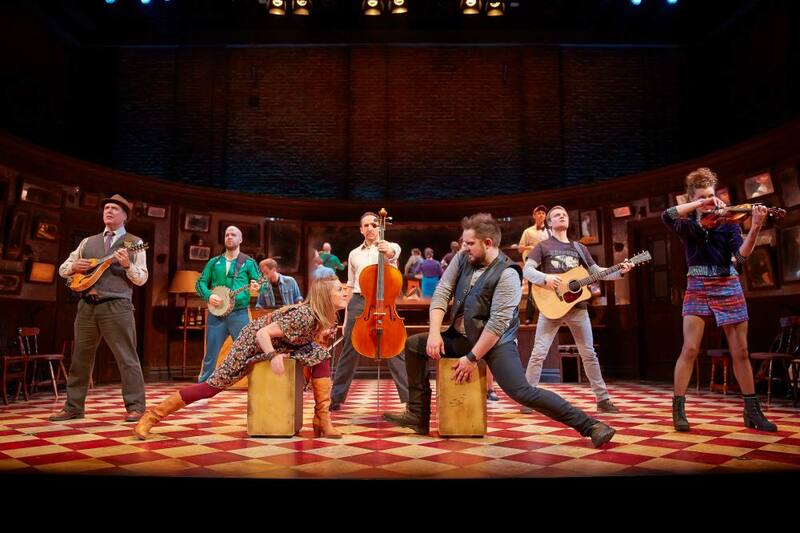 I went to see Once last week to check out the new cast. My love story with this simple, but simply gorgeous show started two years ago when I first saw the show on Broadway. 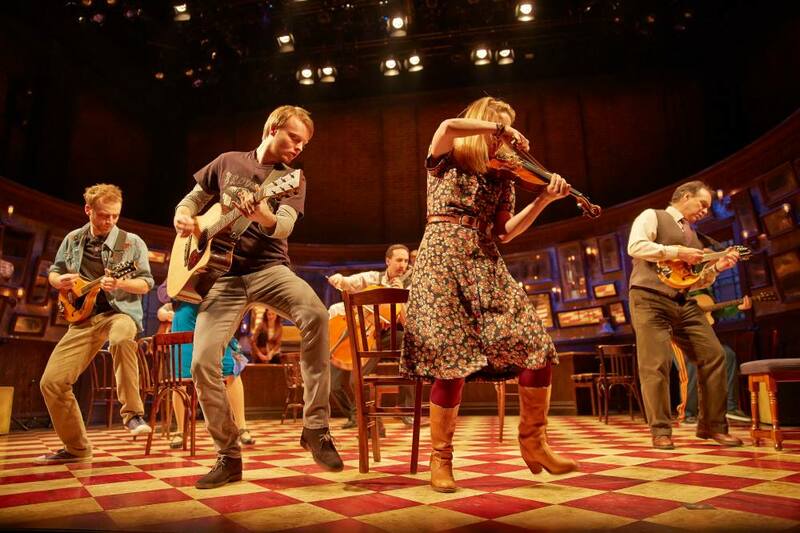 I had no idea what to expect but the story of Guy and Girl falling in love over their shared passion for music just hooked me straight away. And since the show has transfered to London, the Phoenix Theatre is a place I visit often. 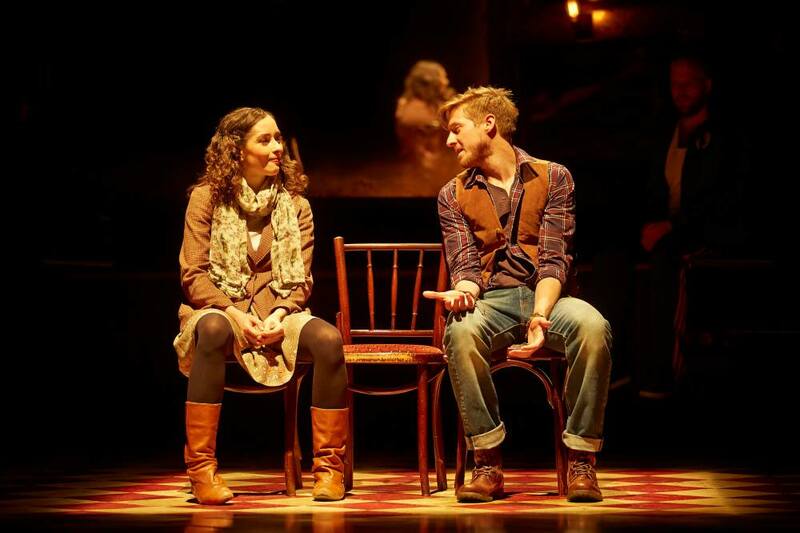 The star of the show for me is definitely its beautiful music by Glen Hansard and Marketa Irglova, closely followed by Zrinka Cvitesic’s Girl. Her feisty portrayal of the Czech immigrant single mum manages to keep just the right balance, using great comic timing but also showing vulnerability and emotions. The new cast seems to be settling in well. Arthur Darvill’s Guy is completely different from his predecessor’s. His Guy is quite awkward and quirky and he uses a lot of comedy. He is a great musician and has a lovely voice, something that will probably come as a surprise to many people who will only know him from Dr Who, or as in my case, from Broadchurch. He and Zrinka have already managed to build up a very strong chemistry, and the rest of the cast isn’t far behind. The thing I love about Once is that it allows a lot of individuality in terms of interpretations and like Arthur’s Guy, the almost entirely new ensemble couldn’t be more different from their predecessors if they tried, yet they still manage to find the essence of their characters. Standouts for me are Mathew Hamper’s Andre, who is quite young and very vulnerable, with him you feel like he really needs Barushka’s motherly care, Matthew Ganley’s Svec, who is absolutely hilarious and Daniel Healy’s Eamon, who sings my favourite pre-show song Chandler’s Wife brilliantly. And of course there is Jez Unwin’s hilarious bank manager, who somehow manages to make Abandon in Bandon ever more ‘horrid’. Once is definitely not your show if you’re looking for a big spectacle, with huge sets and sparkly costumes, but if you’re willing to just sit back and watch a simple love story unfold in front of you, which is going to make you howl with laughter and tug at your heart strings, accompanied by absolutely gorgeous music, I dare you to find a better night out in London. I really hope this beautiful show and its amazing leading lady are going to get the recognition they deserve at the Olivier’s this weekend. 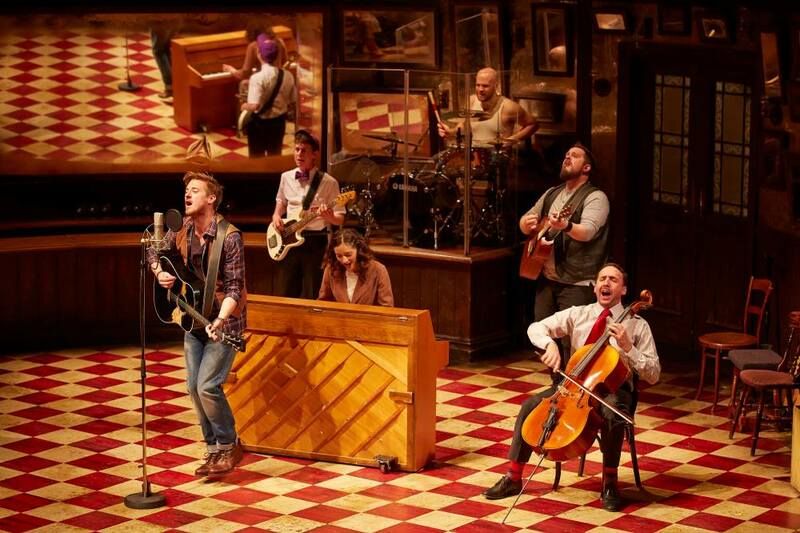 For more info about the show visit http://www.oncemusical.co.uk, check out Facebook and follow @OnceMusicalLDN .